After all, Bella is no Buffy. Head to Always YA at Heart for the rest, and remember to enter the e-book giveaway while you’re there! There were so many twists and turns in this book, I never saw them coming, like a traffic accident, suddenly everything was spiraling out of control, and in all directions. This book was filled with actions, one thing happened right after another. Which doesn’t sound good but actully is, it didn’t go too fast, but it definitely held your attention. I didn’t put the book down once, from the moment I read it. I was instantly hooked I needed to know how the story was going to play out and how it was going to end. I didn’t stop reading until I was at the very last page. The rest is up at Life of a Total Book Nerd today! HUGE thanks to Ellen and Nadia for hosting Stitch!! The time travel/wormhole aspect of Stitch was fascinating. How much research did you have to do for Stitch? The thing that’s most amazing about that stuff is that it’s actually true – or at least, those are the most accepted current scientific theories. I actually didn’t have to do a ton of additional research, because I find that stuff fascinating too, so I’ve done a good amount of Stephen Hawking reading and that sort of stuff in the past. When it came time for Stitch, I just drew on what I knew and used articles online to refresh my memory and make sure I was explaining things as accurately as possible. In terms of new research for this series, I actually did a lot more about viral epidemics and how easy it would be for a biological outbreak to really decimate our planet – let me tell you, it’s scary!! 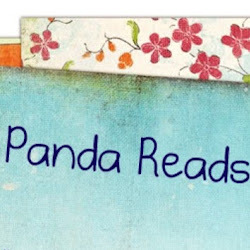 Stop by Panda Reads for the rest, and remember to enter the giveaway while you’re there! What do you like best and least about your main character, Alessa? Great question! Best is that she’s strong and resourceful and determined – she sets her mind to something and she gets it done. Least is that she can be a bit moody – she’s not as easy to love as, say, Janie (her best friend), because a lot of times she’s not bubbly, she’s not super outgoing or friendly, and she’s a lot more reserved. It takes a lot for Alessa to let her guard down. But once she does, she’s loyal to a fault and will do anything for the people she loves – so I think that makes up for being a little more serious and less fun-loving! Swing by Teri Polen’s Books & Such for the remainder of the interview! Thanks so much to Sandra and Teri for hosting me!! I know personally that sometimes the writing process can be tedious (like when you’re going through the umpteenth round of editing). What motivates your writing? Readers! Definitely. At first I thought the joy of the writing itself was as good as it could get, but then after I published Stitch, I realized that having other people actually READ your work is the best part! So the opportunity to share the story with other people is absolutely what drives me when I’m hitting a rough stretch. Between my beta readers (who are NOT shy of reminding me each week that they’re itching for new chapters!) and all the readers who are eagerly awaiting sequel, I have all the motivation I need to keep making progress on the next chapter. There’s nothing more fulfilling than seeing other people get excited about your work. Thank you, readers, for making this experience so amazing!! Catch the rest at Here’s the Story today, and don’t forget to enter the e-book giveaway while you’re there! Thank you SO much to Nickie for hosting me!! But that being said, I still won’t know for a few months now how readers will respond to Shudder. I’m hoping beyond hope that you guys will like it as much as I do! Stop by YA Sisterhood today to check out the rest of the post, and also to enter a giveaway for an e-copy of Stitch (gotta catch up before the sequel’s ready, right??). Thanks so much to sisters Jennifer, Amy, and Brittany (and Marylee, Beth, Sarah, Bethany, and any honorary sisters I missed!) at YA Sisterhood for hosting me! In other news, Stitch was honored as one of the very first books reviewed by a great new blog, The Moonlit Bookshelf, and earned four stars! Here’s a snippet: “But what I probably loved most about this book is the fact that it managed to surprise me with its twists and turns that I didn’t see coming… the author deceived me into believing in a mere ghost story, when in fact it was something completely different and riveting.” Stop by The Moonlit Bookshelf for the rest! Thanks so much to Andreea for the fab review and best of luck with your new blog! Ever since the first Resident Evil came out in 1996 when I was the tender age of 11, my family has been sitting down together to thrash zombies and all the other nightmarish Bio Organic Weapons dreamed up by the geniuses at Capcom in an effort to rid the world of the ravages of the horrific T-/G-/t-Veronica-/X-/etc.-viruses. Initially, this wholesome ritual began as a fun way to pass the time while my older cousin babysat me and my younger brothers. He would play and we would watch and this would often result in all of us running screaming from the room when the game took an unexpectedly scary turn. No, they didn’t have 1080p HD graphics in 1996, but they had clever gameplay and lots of pixelated blood and we had imaginations. I can still remember the good old days when my brothers couldn’t sleep unless the game’s case – with its gruesome zombie-laden cover – was safely tucked out of view. Ahh, this brings back such good memories! If you’re a fan of the series (or of videogames in general), you definitely don’t want to miss this post – stop by The Aussie Zombie to check it out! Thanks so much to fellow RE fan Kat for hosting me!! Bunch of great new content up today! First, stop by Colorimetry for a quick but super fun author interview, along with an e-book giveaway. Also, this post is part of the YA Paranormal Hop going on all this week, so there are lots of other great blogs to check out and chances to win more great prizes! One of the things I liked the most was the surprise of it all. Beginning with what I thought was a YA paranormal ghost story, it evolved into what I’d classify as New Adult dystopian. I’m a huge fan of both paranormal and dystopian/sci-fi, so I was one happy girl. I’ve read my share of dystopian novels and I have to say, this was a unique setting to me. Big big thanks to Laura and Teri for hosting Stitch!! Wowzers. I think I screamed a few times while reading. If you’re looking for a book chock full of action, suspense, mystery, and intrigue, snag a copy. This one will keep you on the edge of your seat. The author has crafted an intriguing Dystopian world with good characters, many twists, and talented writing. From the end of the first book, I can tell that this will be a great series… If you’re looking for an interesting Dystopian world, you will definitely find it here. Thanks so much to Nickie and Alexandra for reading and reviewing Stitch!! Note: This guest post was originally posted on 11/19/12 at another blog, but that blog has since closed down. I decided to move the text here since I thought this might be valuable as a resource to other writers. As you may have guessed from the book’s synopsis, Stitch isn’t your everyday paranormal romance story. Though it starts out with an infatuation between a college girl, Alessa, and the handsome ghost that frequents her sorority house, the plot actually goes much deeper than that. In fact, nothing in Stitch is quite what it seems. And when you hit the twist, you’ll learn – along with the “ghost,” Isaac, and Alessa themselves – that these characters are trapped in a dangerous conspiracy that will have them fighting for their lives. The revelation is SO huge that it actually thrusts the book into a whole other genre, which is something that many readers have commented they’ve never even seen before. As a result, a lot of readers have had questions about how the idea for the twist came about. Was it planned all along or did it come to me after I started writing the story? Where did I get the idea? Why did I decide to go this path? To shed some light on how the idea for the twist in Stitch was born, I think it would be best to take you through my experience from beginning to end. I decided somewhere around Thanksgiving of last year that I might want to try my hand at writing a book. There were various reasons for this – 1) I’d always wanted to, 2) I recently changed careers from software engineering to freelance writing and was feeling more confident in my abilities after a year of practice, 3) I waiting for my wedding the following September and had already finished 90% of the planning and thought I might go crazy if I didn’t find some way to pass the time… You get the idea. So then the question was: what would I write about? To figure this out, I combed my list of favorite books/movies/shows and pulled out elements that I loved: paranormal romance a la Twilight, dystopian settings like The Hunger Games, strong female leads (thank you, Jane Austen! ), epic sci-fi/fantasy adventure series (Harry Potter, Star Wars, Battlestar Galactica, Eragon, Lord of the Rings), the knock-your-socks-off twist you didn’t see coming (Game of Thrones, Lost, The Sixth Sense, etc.). And then I thought: how can I fit these things into my book? I began with the idea of a paranormal romance. I thought that a ghost romance might be a fresh take after all the vampire/werewolf popularity of late, and I’d always been fascinated by ghosts, so that seemed a good place to start. But there is one huge problem with a love story between a ghost and a living person: how do you finally unite them in the same place at the same time? Yes, I could have just made it work despite the confines of time and space, or I could have brought in some kind of time travel element, but those weren’t ideas that really appealed to me too strongly. For my first book, I wanted to write about something that excited me on a visceral level, something that as a reader, I would DIE for more of. No, I’m not going to tell you right here what the twist is about – you’ll have to read it for yourself! – but I will tell you that when the idea finally came to me, I couldn’t WAIT to write it. It brought in ALL of the elements that I love in one story, in a way that was just crazy enough to be believable. And even better, it gave me SO much more about this world to reveal in the second and third books of the trilogy. So a little imagination, a little luck, and a refusal to settle until I’d found an idea I loved – that’s how Stitch was born! Today is the final day on the fabulous “Get Stitched for Valentine’s Day” tour! We’ve got a whole slew of amazing blogs hosting today, many of which are featuring great new reviews! HOWEVER, even though it’s the last day of new stops, the big tour giveaway is open until March 1st! That means you still have plenty of time to enter for more chances to win and take advantage of the multi-day entry options to earn more entries! HUGE HUGE thank you to all of the blogs who participated on the tour, and especially to Laurynne at CBL Book Tours for helping me pull this off! It’s been an amazing experience to meet and work with so many great new blogs in such a short amount of time. Thank you guys for everything! !